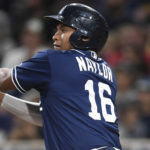 With all the great right-handed pitching in the Padres’ farm system it is easy to overlook some deeper arms with tremendous potential in the system. With guys like Cal Quantrill, Eric Lauer, Anderson Espinoza, Michael Baez, Joey Lucchesi, Logan Allen, Jacob Nix, and Adrian Morejon, it’s easy to pay little attention to the Hansel Rodriguez‘s of the farm system. 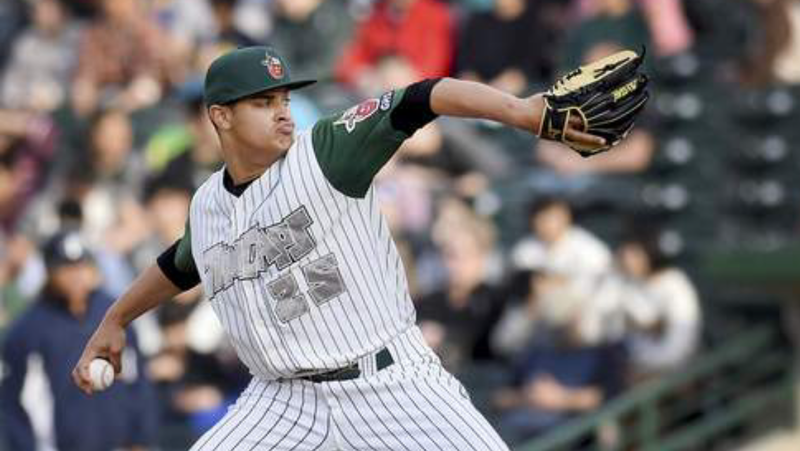 Hansel Rodriguez is a 20-year-old RHP currently playing for the Fort Wayne TinCaps. Rodriguez was signed by the Blue Jays in 2014, at the age of 16-years-old for $330,000. Before the 2016 trade deadline just a year ago, the Padres dealt outfielder Melvin Upton Jr. to Toronto for the young right hander. 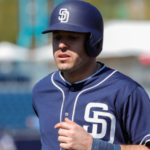 The trade didn’t make very many headlines, but the trade came with a low-risk but high-reward tag for the Padres. Upton’s service wasn’t crucial to the rebuilding Padres, so Preller cashed in on Upton’s revitalized season for a hard throwing young pitcher. Rodriguez has struggled for majority of his professional baseball career. It wasn’t until the Padres’ farm transitioned Rodriguez into a reliever, that success started to occur. Rodriguez posted a 5.62 ERA as a starter for the TinCaps in 2017. Since becoming a reliever, Rodriguez has only allowed seven earned runs over 24.2 innings pitched, good enough for a 2.60 ERA. His most recent dominant stretch, he posted zero earned runs, one hit, two walks, 19 K’s and five saves over 10 innings pitched. That is dominant posting a .30 WHIP, AND 0.00 ERA over 10 innings. Since becoming a reliever, Rodriguez ERA has dropped from 5.62 to 4.60. His fastball has been much more dominating in the later innings as a reliever. There has been an uptick in strikeouts for Rodriguez as a reliever with 32 over 24.2 IP, while as a starter he had only 47 over 49.2 IP. His strike % as a reliever has climbed about 4% from 62.78% to 66.41% proving he has found more control with his pitches. His fastball can touch 99 mph, which is very impressive given his young age and smaller stature listed at 6’2 170 pounds. With added strength and muscle, it isn’t out of reach to say that Rodriguez could hit triple digits in the future. Rodriguez also has a very effective slider which has become increasingly effective out of the bullpen. The 20-year-old probably won’t be major league ready until about 2020. Although his success in the bullpen might give him the opportunity to climb through the minors at a much faster rate making 2019 a possibility. 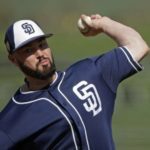 The friars farm is filled with high ceiling starting pitching, and Rodriguez only really profiled as a back of the rotation starter. 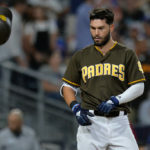 The Padres’ 2020 roster will be filled with young starters making it difficult to find room for him. Being in the bullpen maximizes his value for the Padres in the future. It is crucial to have young bullpen arms in the farm system because weak Major League bullpens has become a hot commodity presently. 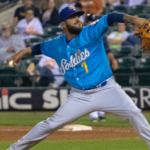 There is a good chance Rodriguez will get promoted to High A by the end of the season, and if not he will surely start 2018 on the Lake Elsinore Storm roster. 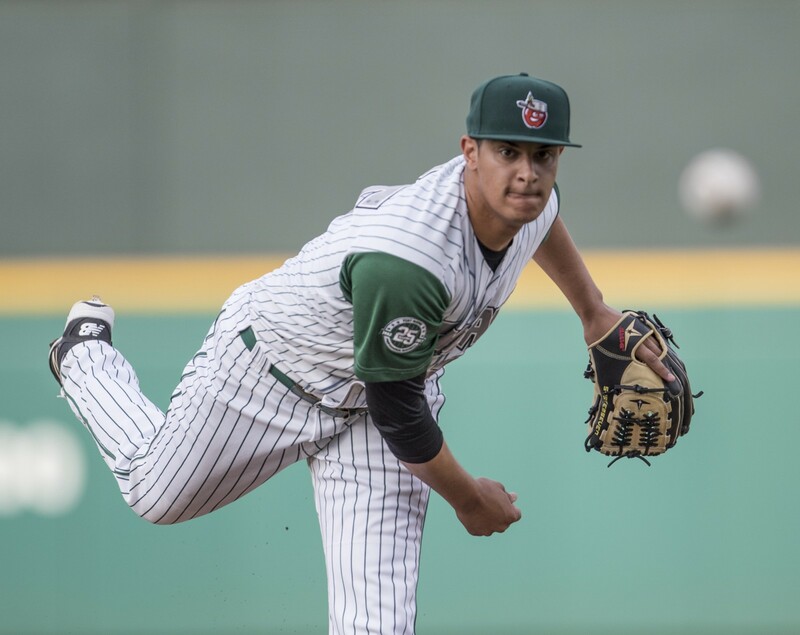 With continued success as a reliever, Rodriguez could move quickly through the minors, similar to current Padres’ reliever Phil Maton, who started 2016 on the TinCaps. It will be fun to see how Hansel Rodriguez continues to develop coming out of the bullpen. 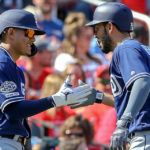 Although Hansel Rodriguez is a more under the radar name in the Padres’ farm system, the kid has tremendous talent and potential to become a very productive major leaguer. Muy durooooo mío miooooo ????? Lest Goo ! , La Movie Congrats Hansel R. Success continues to do brot ? 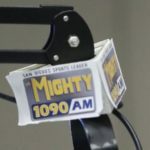 I’m happy you guys did an article on Rodriguez. I too had noticed his impressive development once he was moved to the bullpen, and I think he could be a big part of the team in a few years.